We are pleased to be able to provide veterinary care 7 days a week, with Dr. Daudjee (owner of South Point Pet Hospital) working Wednesdays and Thursdays and Dr. Grubac working Friday to Tuesday. We understand that clients may prefer to see one veterinarian only. Please state your preference when booking appointments and we will do our best to accommodate you. 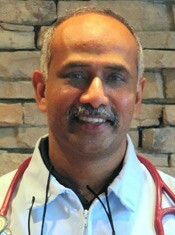 Dr. Daudjee graduated from the University of Nairobi, Kenya in July 1987. Post graduation, he worked in a Small Animal practice until 1993. His colleague, late Dr. Richardson, was involved with wildlife - through which he received experience dealing with a variety of animals such as, birds of prey, crocodiles, cheetahs and chimpanzees. In October of 1993, he immigrated to Toronto, Canada and passed the Canadian Veterinarian Board Exams parts A & B. Thereafter, he moved to Alberta in 1994, where he could work under the supervision of a registered veterinarian. He received full licensure in December 1995. From May 1995 to June 2004, he worked in Fort McMurray, Alberta, at Thickwood Veterinary Clinic, where he practiced on 80% small animals, 15% exotics, and 5% equine. During this period, he completed a course in orthopedics. His main interests are orthopedics, internal medicine and oncology. He has a beautiful wife, a son and a daughter. His extra-curricular activities are playing squash and outdoor activities such as camping. With over 20 years of experience in the field of small animal veterinary medicine Dr. Grubac is a perfect fit for our compassion and care oriented facility. She completed her degree from the University of Sarajevo. 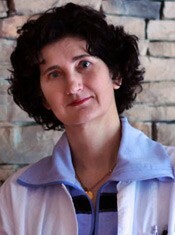 Since moving to Canada in 1992 she has worked in various small animal hospitals in the Lower Mainland. She has special interest in dentistry and dermatology. Her compassionate, dedicated and caring nature further strengthens our practice mission and goals.